Perhaps Washington is too busy. Perhaps they have too many meetings. But one thing is certain: They do a lousy job of representing us. 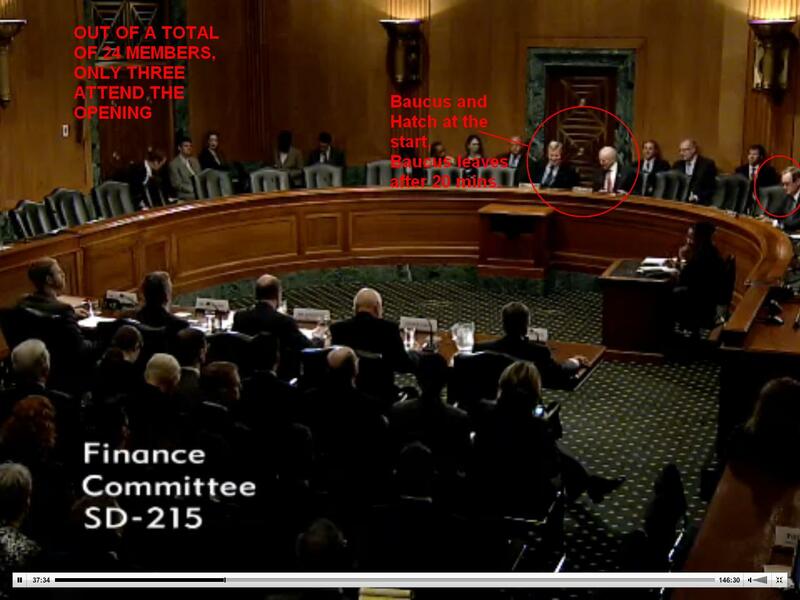 Keep in mind that this committee consists of 24 members, about half from each party. The topic was tax deductions for charitable giving. 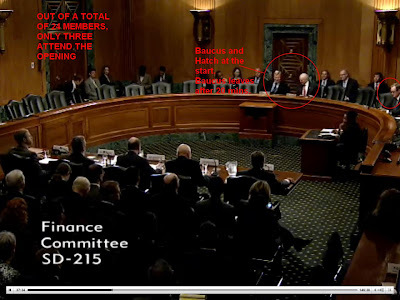 This screen shot shows Max Baucus as Chairman. He will open the meeting and stay for 20 minutes of the two hour hearing. Grassley makes an appearance and makes a statement, then leaves. He shows no interest in what the presenters have to say. 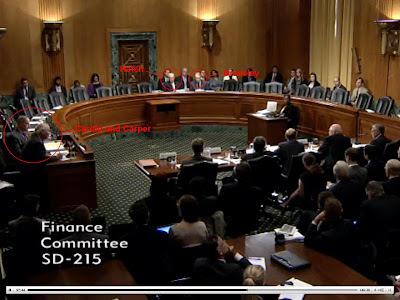 Cardin, Carper and Thune also attended parts of the hearing. And they had questions for the panel of five. 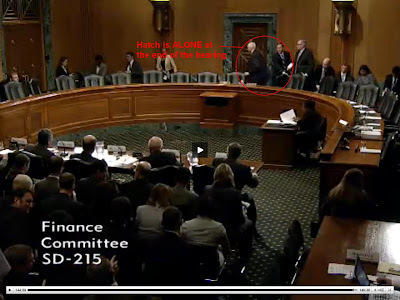 At one point, about 75 minutes in, Hatch excuses himself, leaving the meeting without a chairman. 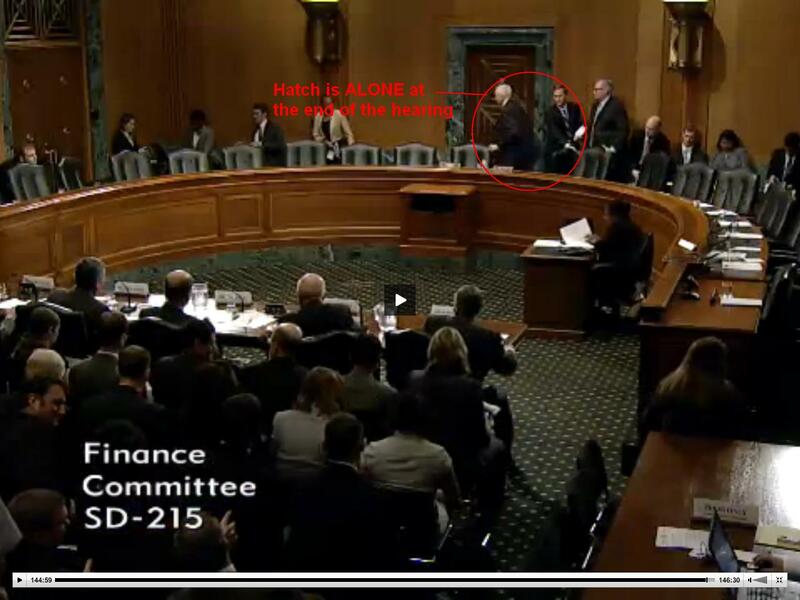 At the end, he was alone to swing the gavel. How in the world do our leaders expect to lead when they don't even attend the meetings? 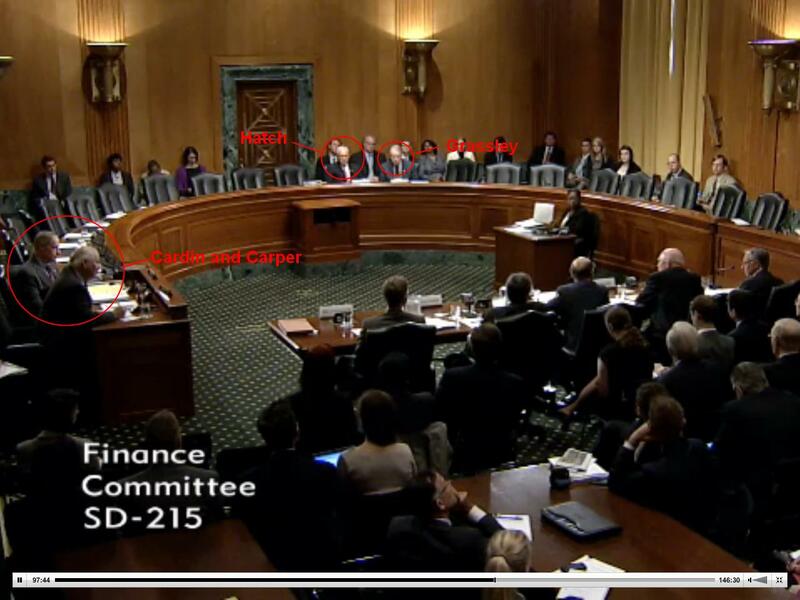 For the record, here is a list of all the Senate Finance Committee members.